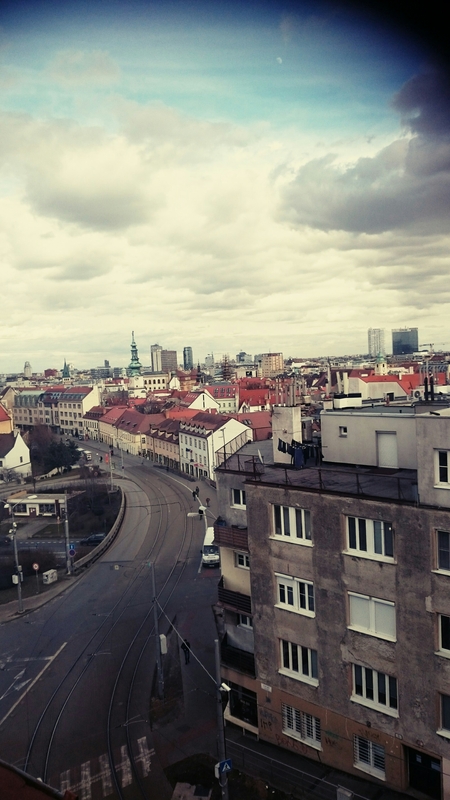 Bratislava is a city unlike any I have ever been to before. 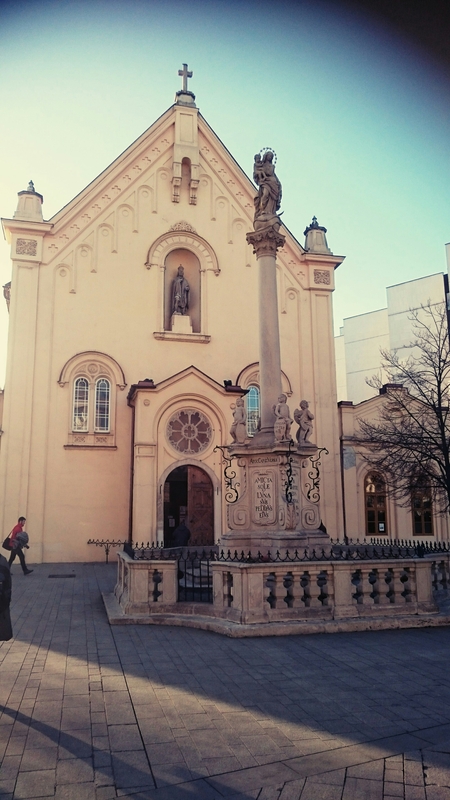 It boasts a population of 450,000 and is the capital of Slovakia, the only national capital in the world to border two countries, with those being Hungary and Austria. The beautiful buildings, landmarks and streets that make up the city makes Bratislava look like the kind of city you wouldn’t see out of place in a fairytale. For a Scotsman in a European city there was only one thing that stood out the most for me though, it is really cheap, like seriously cheap! 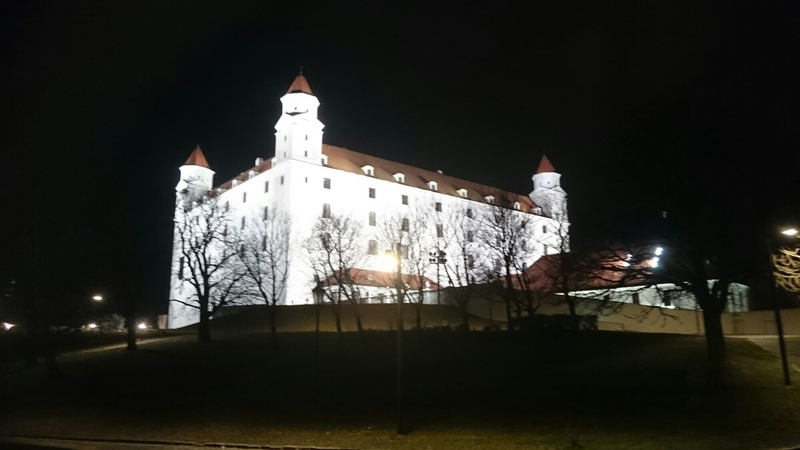 You tend to find that when you travel abroad you have to limit yourself to a budget for each day, but in Bratislava even when you’re living like a king or Queen you have the potential to underspend which is awesome! 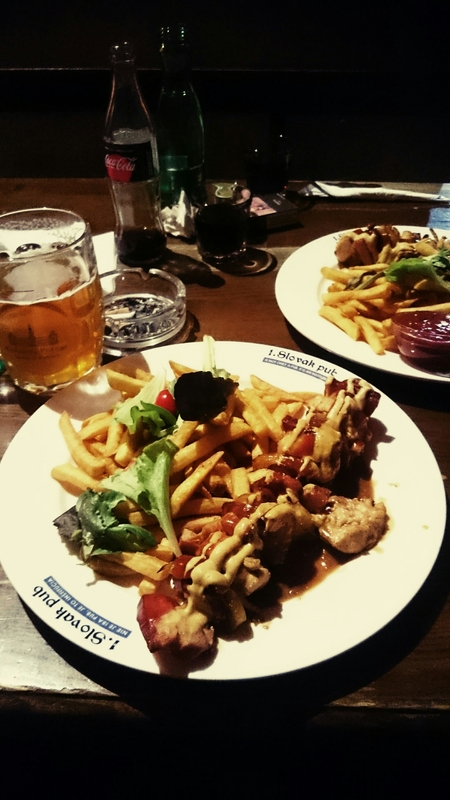 I was eating meals, drinking several pints in different restaurants and bars and my cheque was rarely over €10 each time which is phenomenal! 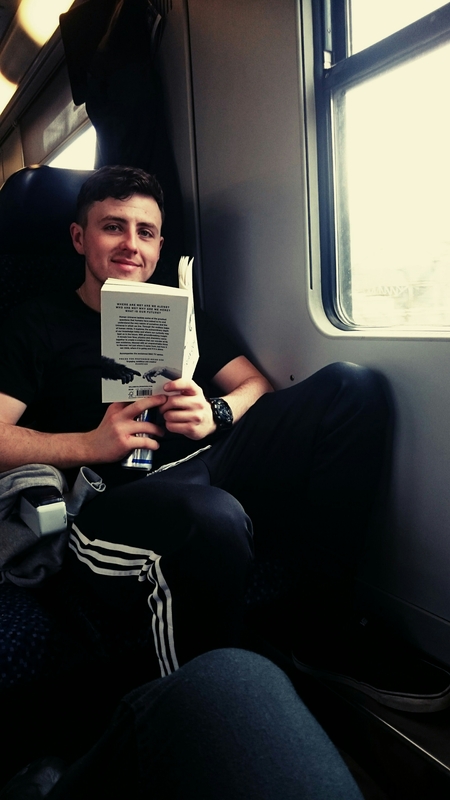 Before I got there I was a bit worried as I had a preconceived idea about eastern Europeans being rough and the cities being rough places, that was ignorance on my part. Once I got there, I discovered that the people were some of the friendliest you could meet with the vast majority being able to speak at least some basic English. 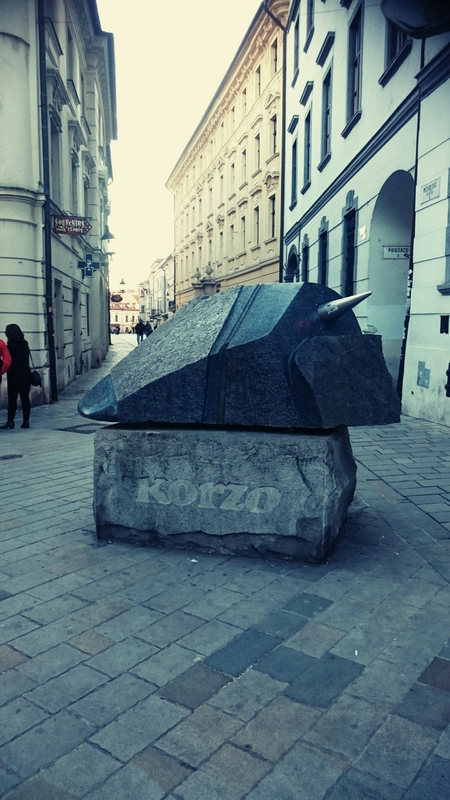 Perhaps the most ironic thing being that I have felt safer in Bratislava than I have in the majority of cities I have visited. 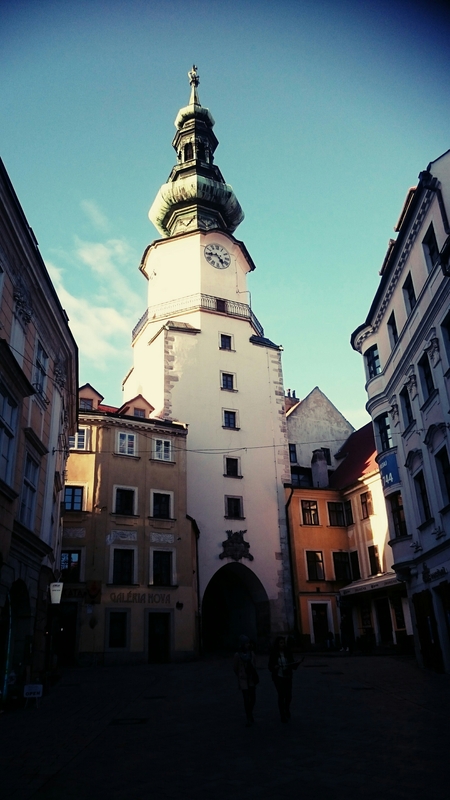 There are numerous places in Bratislava such as Bratislava castle, Michael’s Gate, St Martin’s cathedral, Slavín, Roland fountain, Man at work, Devin castle, Bratislava zoo, Slovak national museum, old town hall etc and so many more. 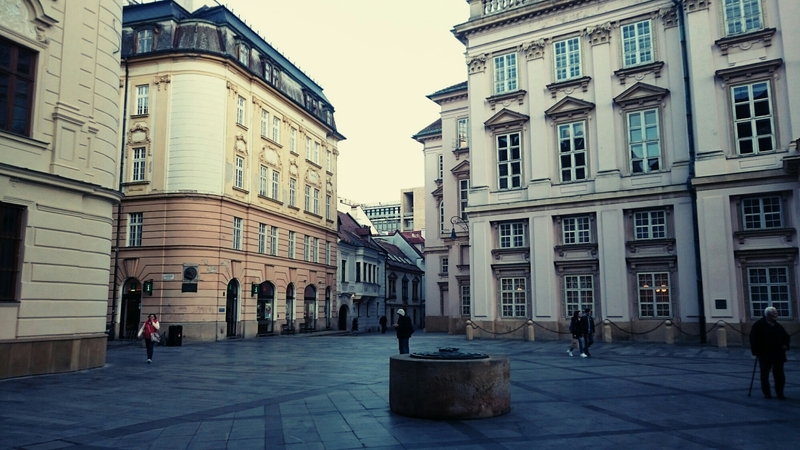 One of the perks about Bratislava is that it is a relatively quiet city, unlike many other cities where you struggle to walk down the street due to the number of tourists. There are very few quese and most of the landmarks provide you with breathing space, unlike in other cities. 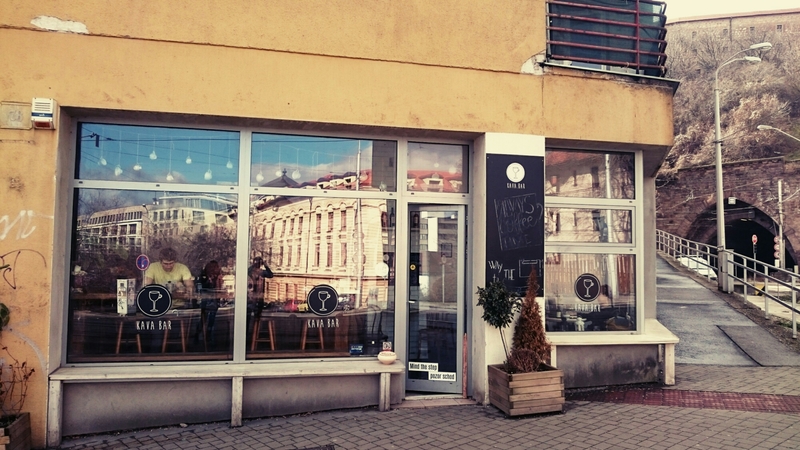 I am currently sitting writing this in the Kava bar just off Zamocka Street, a smashing wee hipster cafe that appears to be pretty popular with the locals. It’s moments like these that I love when I’m abroad, chilling out watching the world go by, embracing the culture. 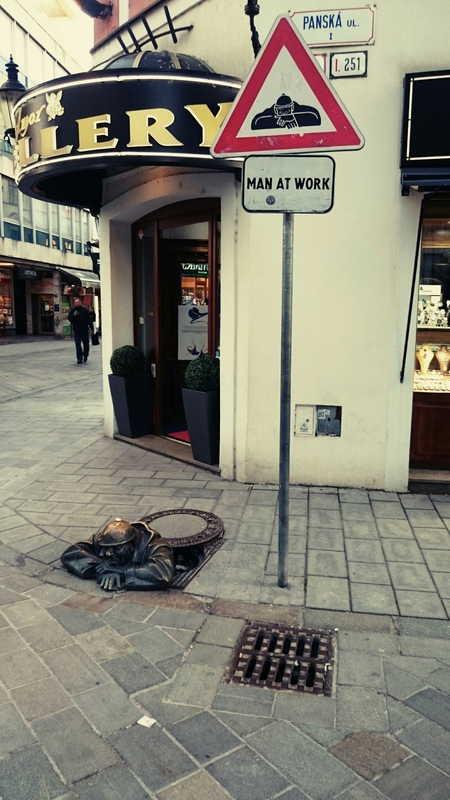 There are plenty of little gems like these throughout Bratislava, be sure to check one out if you get the chance! 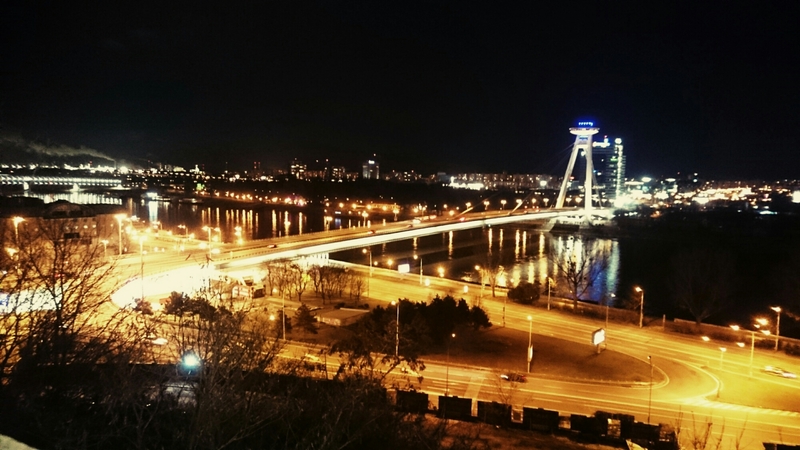 A walk down by the river Danube or a walk over the most snp is also a really enjoyable walk, giving you spectacular views of Bratislava. The Slovak pub is also a must when visiting, with amazingly tasty food and drink available for very cheap prices it’s easy to see why it has such a great reputation. The food is honestly out of this world! Bratislava airport (BTS) is the airport which serves the city. Situated about 5.6 miles outside of the city centre, there are several buses that go between the airport and the city centre. 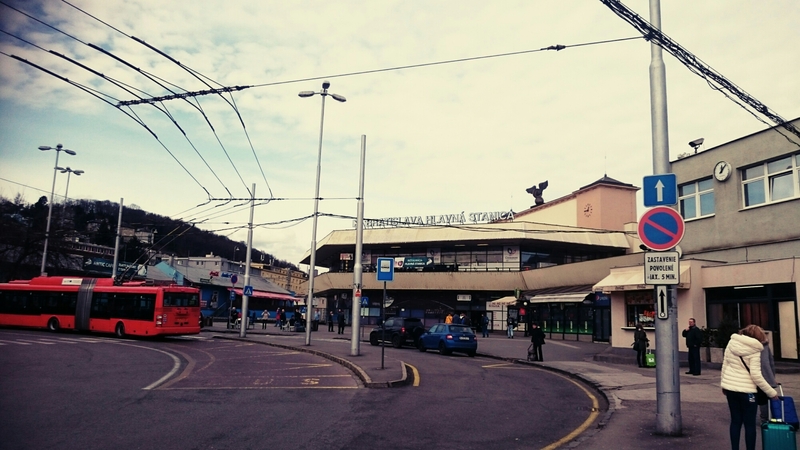 If you take the number 61 bus from the airport it will take you to the main train station, Hlavna Stanica. The number 93 bus will take you from there to the city centre. An hour ticket for the bus will cost you around €1.30, remember what I was saying about it being cheap?! If you do decide to take the bus make sure you buy your ticket before boarding the bus and make sure you get it validated when you get on, as at occasional stops a conductor will get on to double check tickets so you’re better safe than sorry! 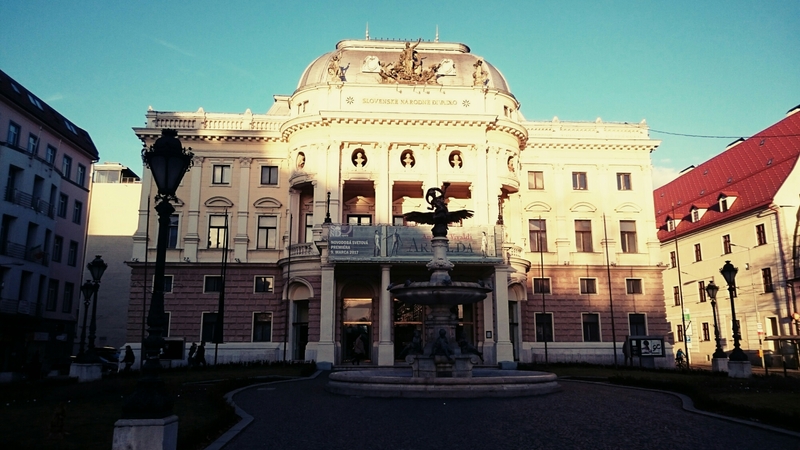 I would highly recommend taking a day trip or an overnighter to Vienna whilst you’re in Bratislava. With the cities being so close it’s well worth the while taking advantage of. 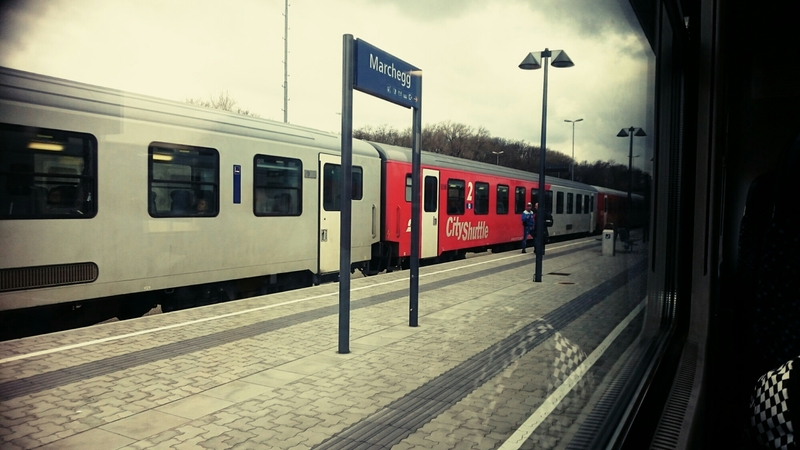 There is a direct train from Bratislava (Hlavna Stanica) to Vienna central station (Wien Hauptbahnhof) called the city shuffle which lasts around an hour and a half. 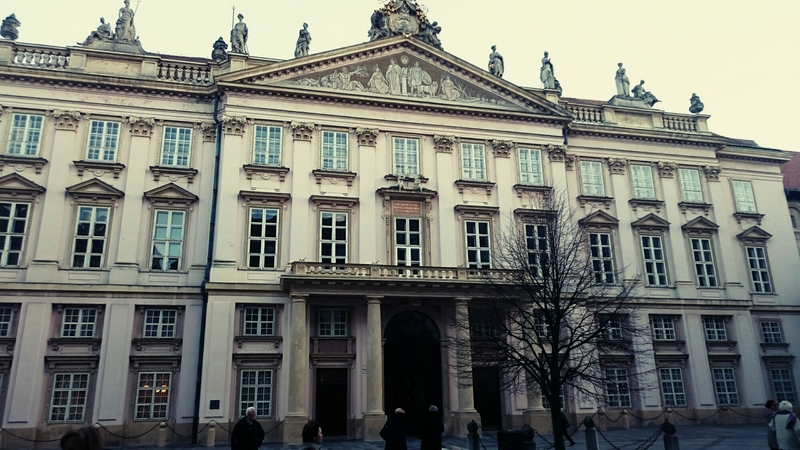 I purchased a one way ticket from Bratislava for €12 and a one way ticket from Vienna for €10, so it’s very affordable. 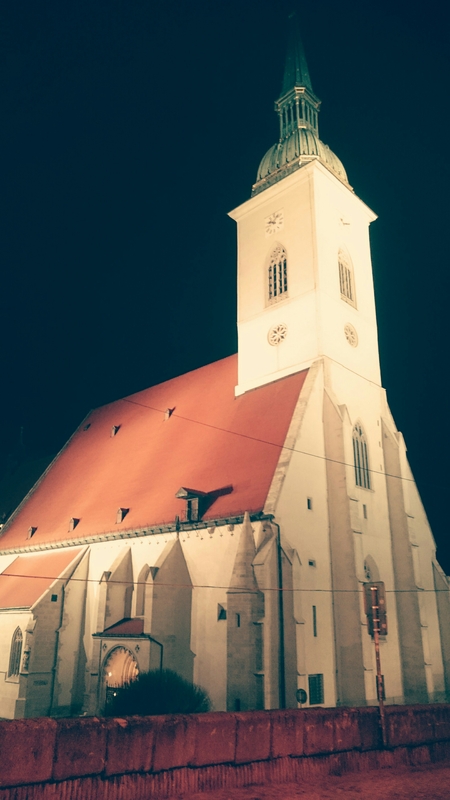 The two cities are unique in their own ways, Bratislava being the small, cute and cheap city and Vienna being the big, mesmerising expensive city. I will do a post on Vienna at a later date. 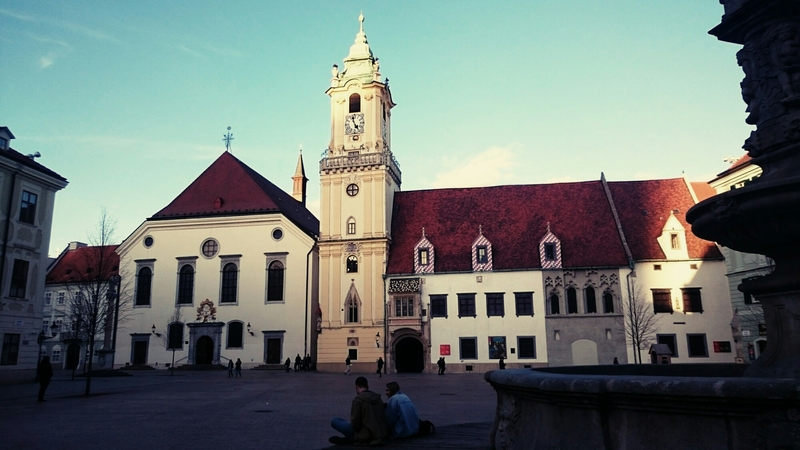 Bratislava is a wonderful little city that if you get the chance to visit, you should definitely go to! From the narrow streets of the old town to the spectacular sites and views it is a city that you will be sure to fall in love with. Happy travels! We were in Slovakia for just an hour. LOL! Driving through to Austria we stopped at a town called Banska Bystrica. We want to get back to Slovakia and Slovenia! Aww nice one 🙂 What was Slovenia like? I’m thinking about going there later this year lol! 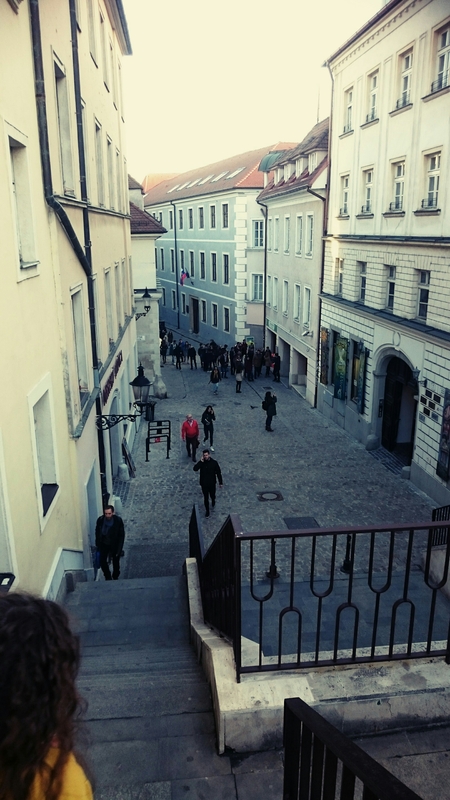 You should definitely go back to Slovakia and go to Bratislava, it is an amazing wee city! That’s why! We’ve not been to Slovenia and our German friends keep telling us its fabulous! Will definitely need to check it out one day soon 🙂 if yous do go, let me know what it’s like!